Thank you for your prayers and support. I can testify of God’s goodness in my service at the Bible College of East Africa, especially this term when I am very busy with my duties. In mid-year of 2015 I was assigned to help in the kindergarten on the BCEA campus. This additional work was arranged due to the furlough leave of the Yoon family. Mrs. Yoon had been the director of the kindergarten since joining the BCEA, but she is away now. For the weekend ministry I am no longer with the Sunday school but with the English Choir, whose conductor was Rev. Yoon. Before I joined the BCEA kindergarten, I used to serve in kindergartens in different mission stations. My service was all about bookkeeping, supervising teachers’ works, paying salaries, etc. Paying a regular visit like once a week or once a month was the best I could do in managing my duties regarding the kindergartens. They were quite distant from BCEA. I had to leave many things under the teachers’ care. As for this BCEA kindergarten in the compound, the distance shouldn’t be any reason why I am not there on a daily basis, even though I don’t teach children in the classroom. 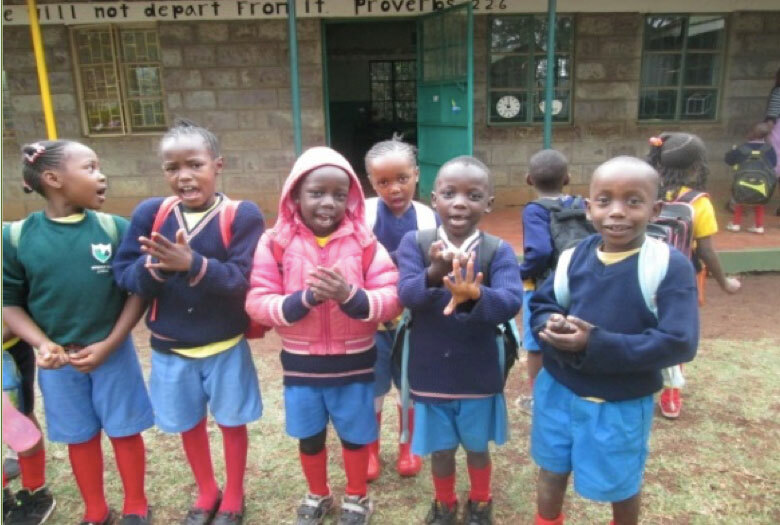 Unlike other kindergartens in mission stations of remote areas, the BCEA kindergarten is located in Nairobi, where many times both parents have to work to make a living. Their better living standard provides for a higher expectation for the children’s education. For example, even around BCEA, there are a number of private primary schools and universities. This parental care for the education of children, either poor or rich, is common among parents and very observable when church members ask for prayer for provision of school fees every time a new term begins. The parents of BCEA kindergarten observe keenly the educational progress of their children and demand a good education from teachers of the school. 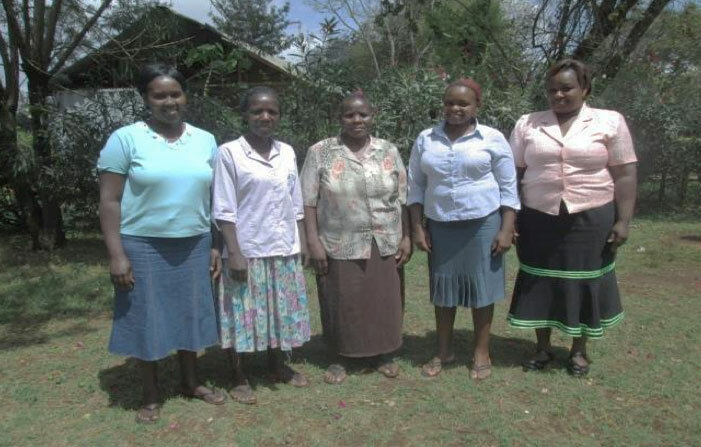 They want their children to pass the interview to enroll them in primary schools in Nairobi. Good education here is more about academic activities; such things as writing and reading. No wonder I see children sitting on their chairs with a pencil in hand. The English alphabet, sounds, and numbers are taught from the very beginner class. Either small or big, children are in uniform with lunch box in their hands and school bags on their backs. They spend a good time reading and writing, and of course associating with others, eating together and having a nap together in the kindergarten. It has been in my heart for many years to find a way to improve the class notes for the children. Those notes are prepared by teachers according to the theme and lesson plan each term. Teachers write and draw exercise notes for children to read and copy as class activity. It is sad to see how poorly done is the sample work of teachers, especially regarding creativity. It is the same in kindergartens not only in remote areas but also in Nairobi. So far I have not met a Kenyan who knows how to read music notes or scales. I have seen a few playing the piano by ear and using chords; it is not that they play by reading musical notes. I have seen good paintings in shops but I have not seen any around me who know how to draw. It is likely that art and music are not much taught in primary and secondary education of Kenya. Again I can’t demand things from teachers beyond their ability. On the other hand I couldn’t just leave it the way it was. Since last year, every Friday as the kindergarten class ends, I have collected all the class notes and typed them in the computer over the weekend. Finding proper pictures related to the theme, and attractive activities that are appropriate for the age level is not hard work, but it is time consuming. There are certain ways that children are taught in class: the English alphabet, numbers, font style, size of letters and spacing between lines are the details needing attention to make typed notes available for class activities. Maybe by the next term in June, I may finish the first draft and try them and see how much help they can be to better learning. Those kindergartens I have visited in other countries are in my mind. Environment conducive to learning, encouraging children to explore, abundant materials and resources were things I used to observe and admired there. Challenges that I face as a director are how to encourage creativity and exploration with things available here and now. Last term I had to let two kindergarten teachers go because they did not have their original certificates. This term a child fell down on his way to the toilet and had to have a few stitches on his forehead. With these experiences I have learned the administrative process of such cases; on the other hand, I learned the importance of maintaining good communication with teachers and safe environment in order to run an educational institution. I may well say parental concerns for children’s secular education have increased as I see the increased number of kindergartens only in this area in the past few years. While it is true that the number of churches has equally increased, I wonder if parents are concerned about the spiritual education of their children in the Sunday School of their church. What about us? We may look for a good school but how many of us as parents care if our children attend a good Sunday school? As you pray for this ministry of kindergartens, please pray that children may learn Christian values and grow in Christ-likeness in addition to their ordinary school curriculum.